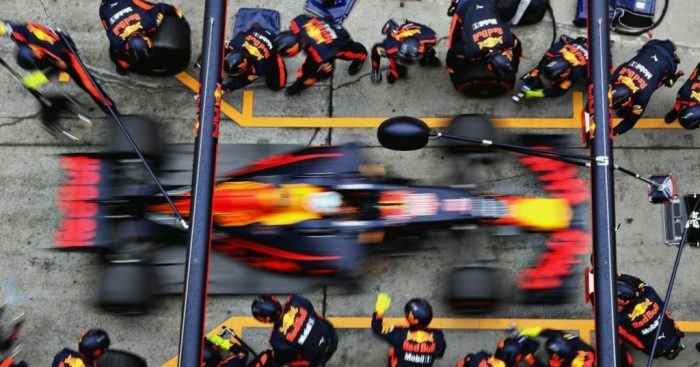 Renault are reportedly set to end their engine deal with Red Bull, informing the former champions that they will not supply them once their current contract expires. Renault’s relationship with Red Bull have been fraught since the introduction of the 1.6l V6 engines in 2014. That season marked the end of Red Bull’s run of titles with the Milton Keynes squad claiming just six race wins in the ensuing four years. And although the relationship appears to have improved during this year’s campaign, Renault are set to end the partnership. “Sportsmail has learned that the French manufacturers have concluded that their fractious relationship with the Red Bull team has run its course, and will no longer supply them with engines from 2019,” reports the Daily Mail. This rumoured split comes in the wake of reports that Renault will power McLaren from next season onwards, confirmation of which is expected to come on Friday in Singapore. With Red Bull’s junior team set to take Honda engines for next season, it is being widely reported that Red Bull could swap to Honda at the end of their Renault contract.